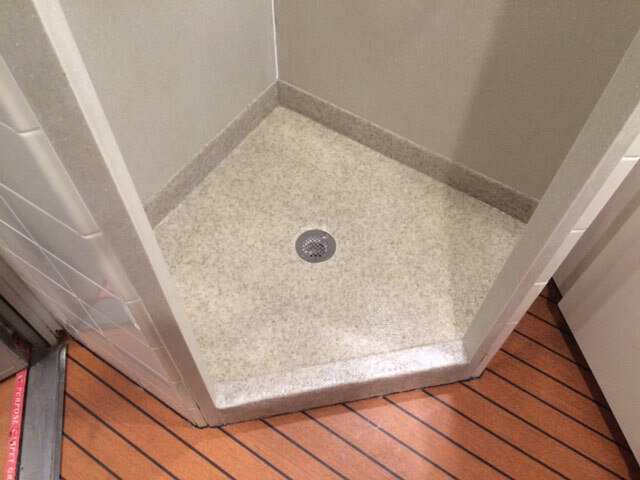 When you’re choosing a floor for your vessel, there are some critical qualities you can’t ignore. Everlast® Epoxy Floors exceed all marine requirements—not only are these floors slip- and salt water-resistant, but they’re built to withstand even the harshest elements on the water and off. Plus, with an EPA-registered anti-microbial additive, our floors curb the natural growth of microorganisms in your vessel, saving you time, money and headaches down the road. Other epoxy flooring is hard and brittle—at Everlast® Epoxy, ours are strong, tough, and flexible. Why? Because most epoxy flooring is short on resins and long on aggregate—more aggregate means a weaker floor for you but higher profits for the installer. At Everlast® Epoxy, we don’t cut corners so you can rest assured you’ve got a sturdy, long-lasting surface. Everlast® Floor's resin-rich formula can be installed over many types of flooring including VCT and ceramic tile. It’s so durable it will withstand constant heavy foot traffic 24/7 and maintain its stain-resistance, ensuring you have a fresh, clean surface for years or even decades. The best part? You can maintain your floor’s quality and aesthetics without the heavy lifting—Everlast® Floors don’t require frequent waxing, stripping or refinishing. Everlast® Floor are seamlessly installed, with no cracks or crevasses for dirt and bacteria to hide. This keeps even the most high-traffic marine floors clean, bright and sanitary. 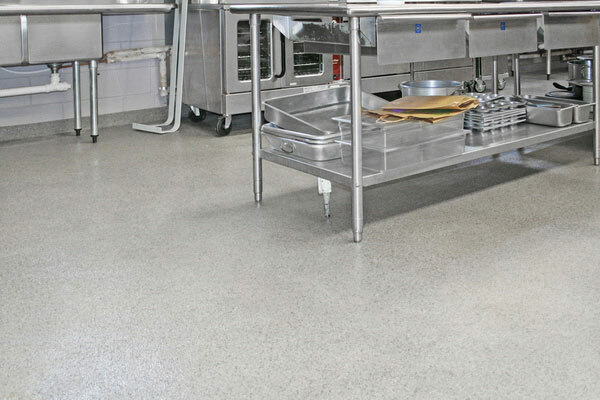 Paired with sterilant- and disinfectant-resistance these floors are an ideal go-to for any vessel big or small. With a pebbled and ribbed non-abrasive marble chip surface, Everlast® Epoxy flooring keeps you, your crew and your guests safe from slips and falls. 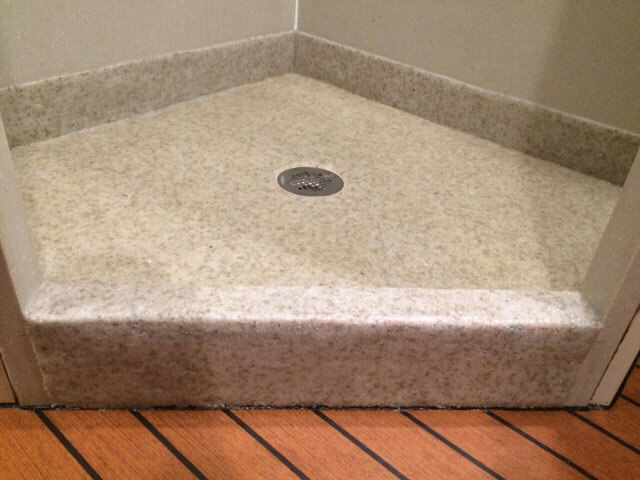 No additional grit is needed—your marine flooring will naturally have non-slip properties from the coarse texture of the stone. Choose from a wide variety of bright, attractive colors that compliment your vessel and your environment. Looking for a specific design or logo? Get in touch! Our experts can create the perfect custom finish fast. Because color exists throughout our flooring and not just on top, the high quality look and feel never fades. Even in high-traffic spots, your floors will always look sleek, clean and professional. We know how important safety on the water is—and we want your vessel’s interior to be safe and comfortable. Call Today for a FREE sample and no-obligation estimate.